Check the Global High Scores!!! Encourage your kids to master 12 Times Table! The multiplication is the most FUNDAMENTAL foundations of mathematics. 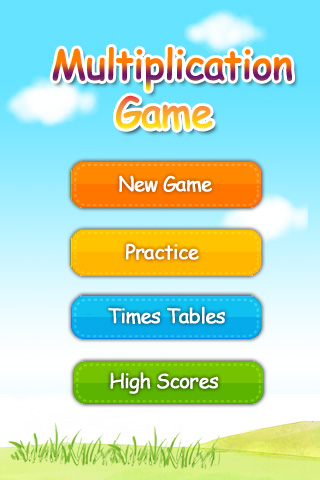 The more score in this app, the more CONFIDENT in MATH and school life!! 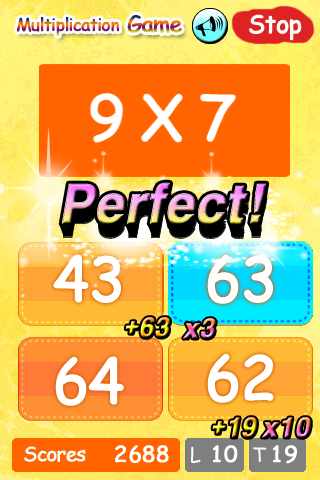 This app gives a joyful way to learn multiplication by heart. Do you think you have a good brain? Training with MULTIPLICATION GENIUS makes your good brain do better and keeps it young!! 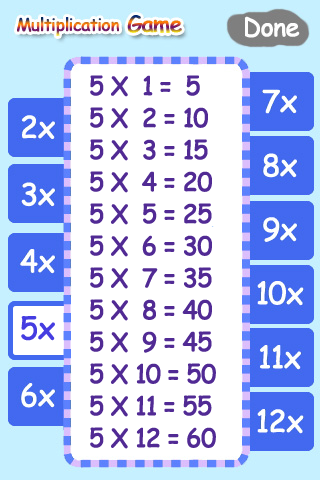 Help your kids learn multiplication with game. Enjoy with all your family. Submit your score to the global leader board. Check table and be certain of what you memorized. Practice multiplication step by step. Choose which numbers you want to practice. Keep 'Perfect' not breaking, then SCORE increases dramatically. TRY FREE VERSION! Multiplication Genius Lite! !